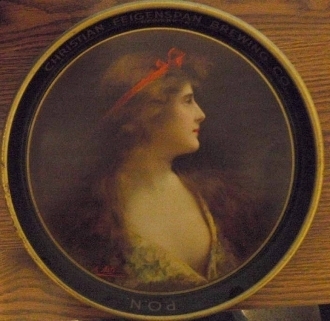 Christian Feigenspan Brewing Co serving tray. The graphics are good, there are several small scratches on the face of the tray. There does not appear to be any dents . The colors on the tray are sharp. It measures approx. 1 1/2" deep x 13" diameter.